Beverly Nichols is often thought of as a “garden writer” but he was so much more. 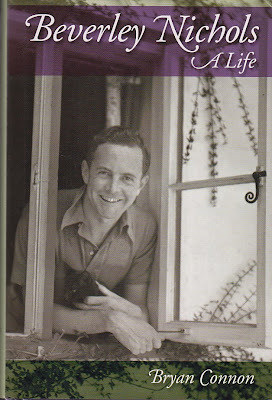 Nichols was a prolific writer, a novelist, a composer and yes, a gardener. Osbert Sitwell described Beverley Nichols as the original "bright young thing." He “ghosted’ the famous diva Nellie Melba’s memoirs. He wrote a series of detective novels, several books about cats, and even some children’s books. Still, he is best know for his book Down The Garden Path which has been in print for over 75 years. 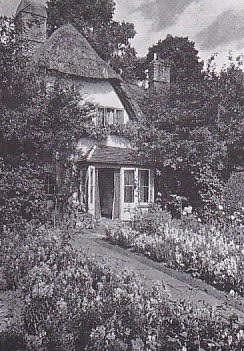 Beverly Nichols believed he had found a dream garden at a Tudor cottage in Glatton, Cambridgeshire. 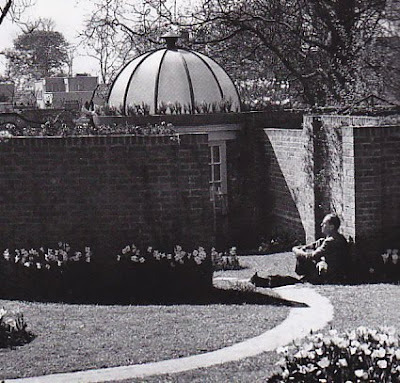 He knew of his reputation as an urbane and witty aesthete and he calculated that writing a book on gardening would appeal to the masses. Ironically, this calculation would begin his reign as a “garden” writer. 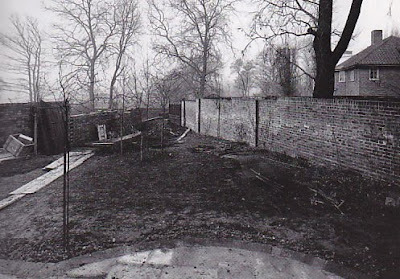 Nichols dream garden was a nightmare, but his vision remained in tact and as he wrote about his adventures, which he found as easy to write as years of readers have found it easy to read. Down the Garden Path would be followed by A Thatched Roof and finally A Village in a Valley. Nichols kept the book for thirty years before turning it over to Dr. Dennis Rhodes who meticulously researched the cookbook. The manuscript was printed on paper watermarked with a coat of arms and sometimes the word “Company”. That would suggest the paper itself came fro the Company of White Paper Makers whose main activity was between 1686 and 1698. In 1968, Cecil and Amelia Woolf published the manuscript. 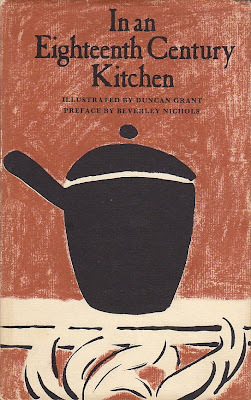 In an Eighteenth Century Kitchen featured illustrations by Duncan Grant. Take a pound of sugar & Clarifie it & boy it to a full syrup & put a pound of yo Damsons into it & lett them boyl very leasurely till they are very tender yn set them to coole & 3 day after pour ye sirrup from them and put half a pint of Apple water into it & boyl it’s self till it is boyled to a quacking jelly & take ye scum off from it yn put it to yor Dansoms again boyling hot & so keep them for your use. Spring is in the air and it is a great time to drag out your Beverley Nichol's books and give them a second look. Not to mention that there have recently been several nice reprints of his works. Read this post a second time at Cookbook Of The Day. little augury: my list of people who SHOULD have written cookbooks is so long... Cecil Beaton comes to mind with your Mitford post! I travel to Lucindaville almost daily---how did I miss this great post? And the wonderful garden house! i wonder if you know more books from Beverly Nichols, it would be so nice.